OAuth 2.0 Simplified is a guide to building an OAuth 2.0 server. Through high-level overviews, step-by-step instructions, and real-world examples, you will learn how to take advantage of the OAuth 2.0 framework while building a secure API. The OAuth 2.0 authorization framework has become the industry standard in providing secure access to web APIs. OAuth allows users to grant external applications access to their data, such as profile data, photos, and email, without compromising security. Aaron Parecki is the editor of the W3C Webmention and Micropub specifications, and maintains oauth.net. He is the co-founder of IndieWebCamp, a yearly worldwide conference on data ownership and online identity. He has spoken at conferences around the world about OAuth, data ownership, quantified self, and even explained why R is a vowel. Aaron has tracked his location at 5 second intervals since 2008, and was the co-founder and CTO of Geoloqi, a location-based software company acquired by Esri in 2012. His work has been featured in Wired, Fast Company and more, and made Inc. Magazine’s 30 Under 30 for his work on Geoloqi. Aaron holds a B.S. in Computer Science from University of Oregon and lives in Portland, Oregon. Tweet me and I'd be happy to help! © 2017 by Aaron Parecki. All rights reserved. 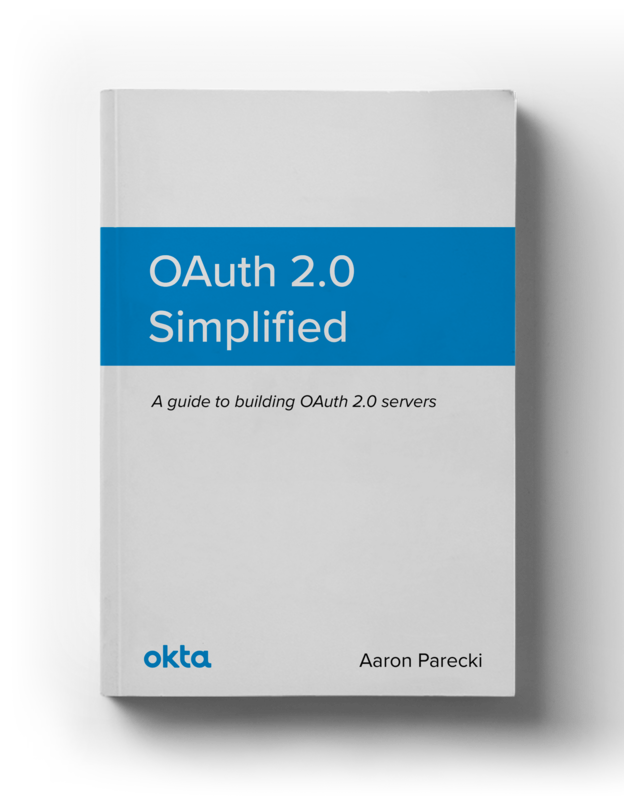 OAuth 2.0 Simplified is published by Okta, Inc.